Continuing what has been a tradition in Canada since 1981, NeilyWorld will now be hosting Canadian Listers' Corner. It was started many years ago by Gerry Bennett as a column in Birdfinding in Canada (1981-89), then continued in Canadian Birding by Eric Tull (1990-93). When that publication ceased, Eric kept the Listers' Corner alive as a separate annual publication in 1994 and 1995. 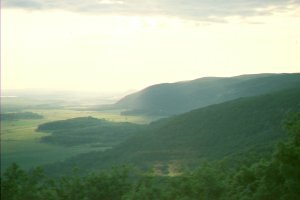 The same format was continued by Burke Korol from 1996 through 2004. High praise to all three of these visionaries, who inspired so many to get even more enjoyment from their hobby. Listers' Corner is now operated by Larry Neily right here at Neilyworld. 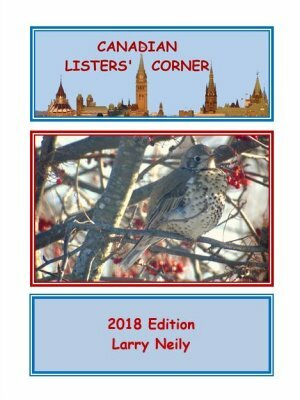 Starting with the 2011 issue, Canadian Listers' Corner became an electronic magazine (PDF) which you may download, to either display on screen (use your full screen width for best viewing) or to save and print your own copy to read on the bus or sofa. The deadline is March 31 (somewhat flexible) to submit your lists: provincial lists, Canada lists, locality lists, winter lists, etc. The compiler is now asking you to submit only new or changed totals (but don't forget any) via email. There is now no subscription fee (since there is no way to control distribution once I have posted the PDF file), but contributions toward the effort are still welcome. For inquires, check below or send an e-mail to Larry Neily at larry.neily@hotmail.com. This website provides information, such as back issues, thresholds, area definitions, a bit of CLC history and a Canada checklist created by longtime CLCer John Zoch. Perhaps, eventually, we will be able to allow reporting online. This has exciting possibilities. Dateline August 11, 2018: The 2018 issue is available to be downloaded from here. The file is 5 Mb, so should not be a problem except perhaps for those still using antique computer equipment. Another uncommon problem encountered might be a lack of Adobe PDF Reader software. If you do not have Adobe Reader on your computer, download it free from Adobe by clicking on the icon - . Then just click on the 2018 cover or the title above it to download the new issue. If you have trouble with the download, let me know and I will send it to you via email. If you would like to update your numbers, which in some cases may be years out of date, please do so with no obligation to pay a subscription fee. Your lists will be updated in the next issue. Thank you.